This weather that we are having this week it makes me realised that I just want to stay in bed under the duvet! Without moving for the whole day. 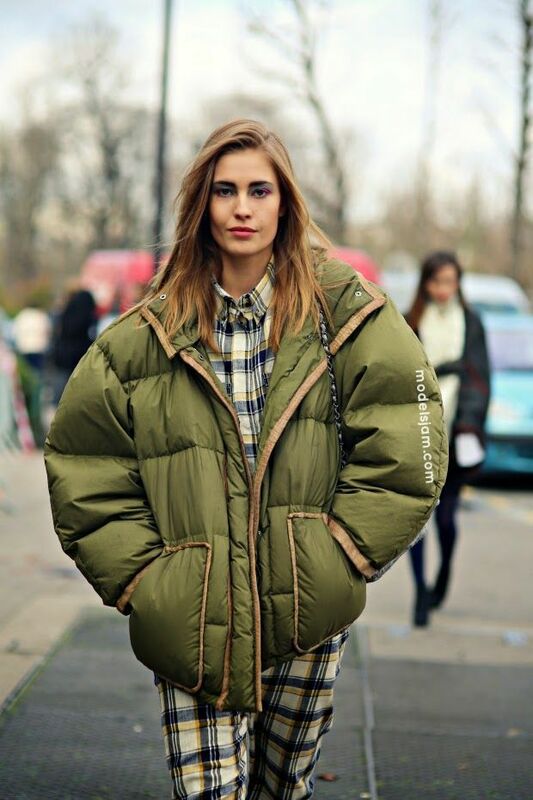 So going out everyday in the cold it makes you feel as you only want to wear the warmest coats at all, apart from the Teddy ones that I talked about them few months ago, I want to raise hands up for the puffer jackets as one of the most important garments in winter! I bought my first one four years ago when I moved to London because I used to hate them but it was something that I definitely not regretting of having it! I can wear them almost single day, and this year I bought another one, longer just for my winter holidays, and it’s the warmest thing ever! 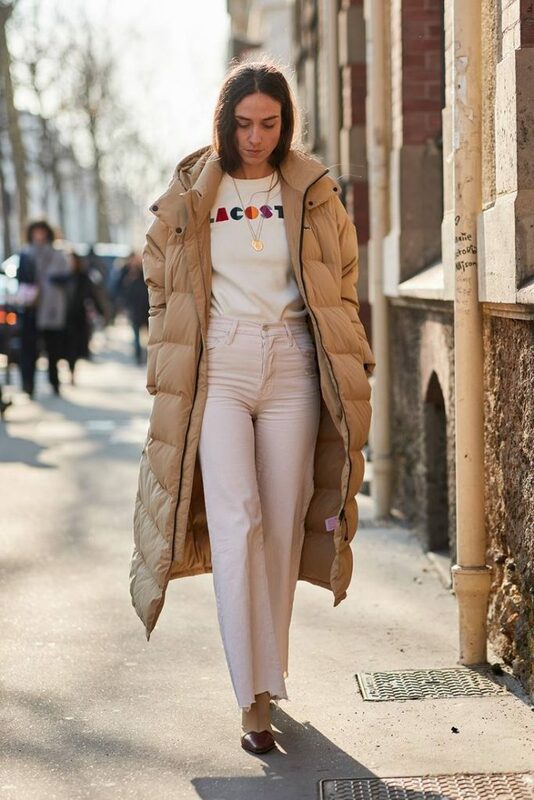 So, I feel that because is a piece that we all should have for winter, here you have the best inspiration from the street style. I love the colourful ones, and also the ones that are very short (at least for the pictures)! Enjoy the week. Con el tiempo que nos espera para los próximos meses, lo único en lo que pienso es en meterme debajo del nórdico y no salir de allí! El caso es que evidentemente, teniendo que salir a la calle casi todos los días lo mejor es hacerte con el abrigo más calentito que encuentres, y aparte de los Teddy coats de los que ya hablé hace unos días, los plumas han sido el gran descubrimiento de los últimos cinco años. Nunca te van a fallar, y son perfectos para cualquier tipo de inclemencia del tiempo! Yo me compré el mío hace cuatro años al mudarme a Londres, y aunque al principio pensaba que casi no lo llevaría, he acabado sin quitármelo! Este año pasado me hice con otro para mis vacaciones de invierno un poco mas largo y definitivamente es un buenísima inversión! Nada mejor que un poco de inspiración y pensar que con un poco de suerte puedes comprarte uno en rebajas y llevarlo por al menos otros dos meses. Feliz semana! This entry was posted in General, Moda and tagged cold, puffer jacket, sales, winter style.